Sometimes our world is so noisy it is hard to hear our own voices. It seems we are all screaming the same things louder and louder in an attempt to be heard first. echo : be repeated or reverberated after the original sound has stopped. We have glorified the echo. The retweet, the share, the klout. To be an echo is so attractive to my insecure & unsure self. I know what people want to hear. I know what they will like and pass on. So, why not say that? I'll tell you why not. Because we each have our own stories to tell. Our own experiences to convey. They may not interest everyone or go viral, but they matter all the same. Our stories, perspectives and humor. It is unique to us. I know sometimes I don't feel that there is anything original about myself. I am a mom, a wife, a blogger. Me and a bazillion other people on the internet now. But no one else has my story. Maybe you feel like you don't have anything worth saying because you don't feel very stand-out interesting. Perhaps when you talk it seems like no one is listening. But no one else has your story. The world needs you. It needs me. Each of us telling our stories and speaking our truths. There are some things only you can say. 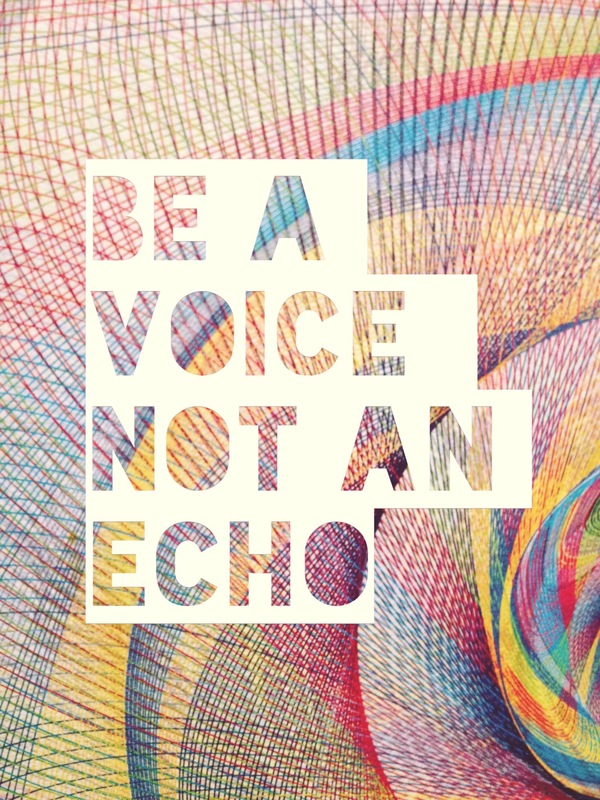 Be a voice, not an echo.